Whomp whomp. 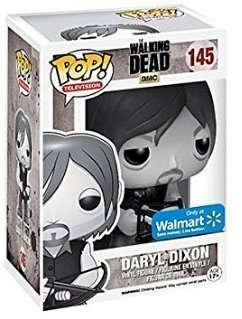 There're no Daryl Dixon (Black & White Variation)s for sale. Daryl Dixon is a main character and survivor of the outbreak in AMC TV's "The Walking Dead". He is an expert at hunting, tracking, and navigating. Due to his survival skills, Rick Grimes values him as an important member of the group. A fan favorite, Daryl Dixon is one of the 1st of 7 figures released in the fifth wave from the Walking Dead (TV) series, The figure is 3 and 3/4 inches tall and has 1 point of articulation.